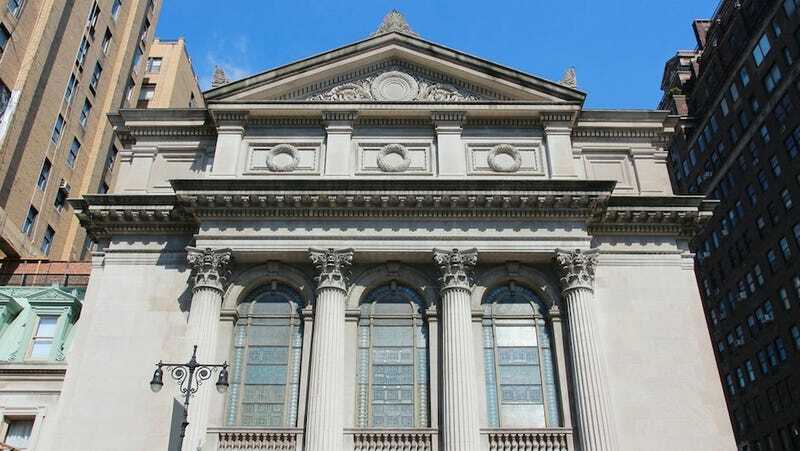 The oldest Jewish synagogue in the United States allegedly fired one of its longtime employees after finding out the woman was pregnant at the time of her wedding. Alana Shultz was working as a program director for the Congregation Shearith Israel in Manhattan since 2004. On June 28, she married her fiancé in an Orthodox ceremony. Two days later, she confided to her supervisor, Barbara Reiss, that she was pregnant. Reiss congratulated her, Shultz’s lawsuit states. After returning from her honeymoon on July 20, synagogue officials told her she was being let go due to restructuring. Her suit claims throughout the meeting, the rabbi “intentionally refused to look at, speak to or acknowledge in any way Ms. Shultz.” According to the Wall Street Journal, Shultz was offered six weeks of pay in exchange for signing a “a full release of any potential claims, as well as an agreement that she not speak derogatorily about the congregation.” There went that post-honeymoon glow. Shultz declined to sign the release and hired a lawyer, which prompted the synagogue to take back the dismissal and send her a letter reinstating her position. “Now that they’ve rescinded the termination, we know the whole basis, which is the restructuring, which is a pretext, is false,” her attorney, Douglas Wigdor, said. Shultz declined to be rehired. “After working tirelessly at the Spanish and Portuguese Synagogue for the last 11 years I am beyond saddened they’ve forced me to file this lawsuit, which I hope will help other women avoid what they did to me during what should be a time for celebration and joy,” said Shultz. Image of Congregation Shearith Israel via Shutterstock.